Already the spirit of Christmas is arriving to our hearts. This is another chance for me to thank you for your support offering you daily gifts. All of them very different. 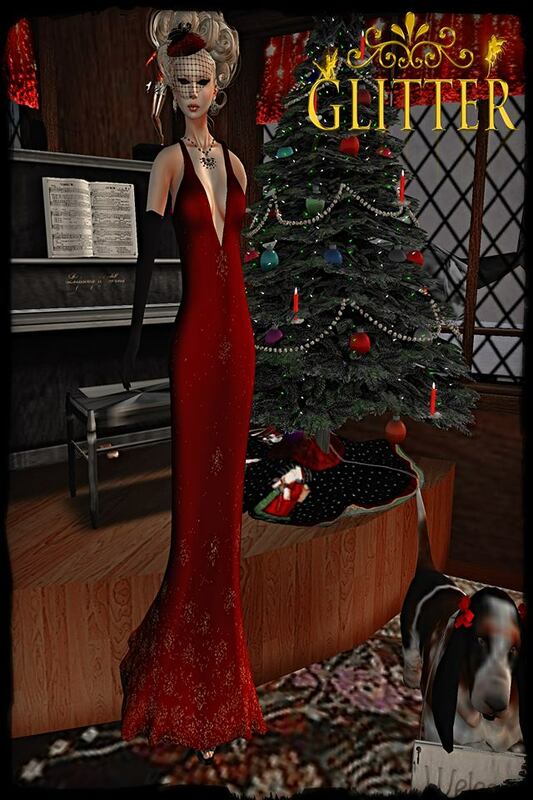 You can find Xmas season’s outfits, accessories, decorations but also for any other time of the year although mostly are winter season items. 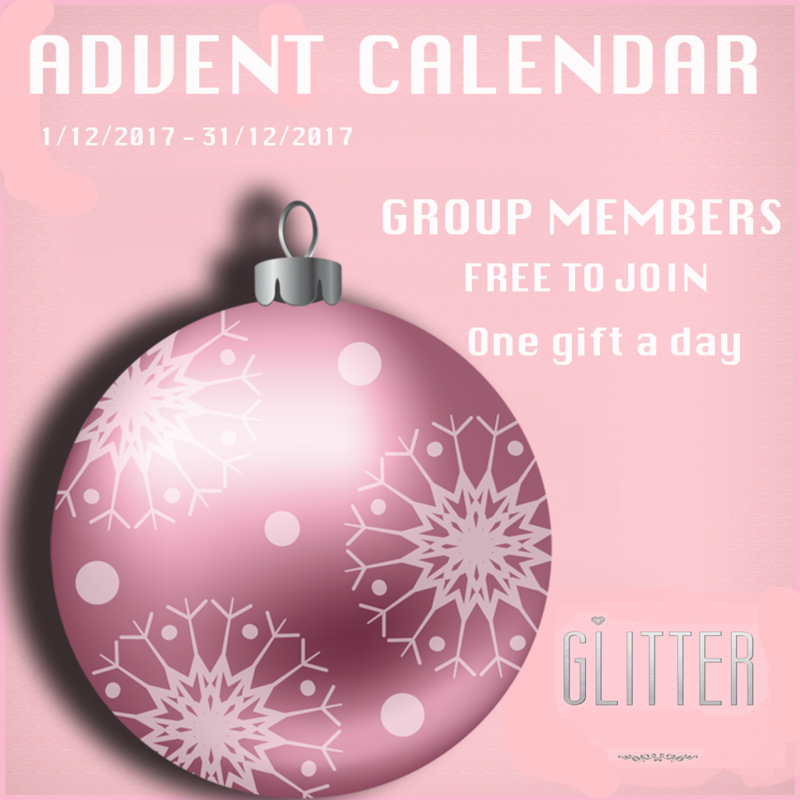 Everyday you must pick the gift wearing your group tag which is required and joining Glitter is FREE. As the days passes previous gifts will be placed on the wall (front & back) a very cheap prices if you like it. The 25th, it won’t be over as it will be a big nice gift on the very Christmas day!! 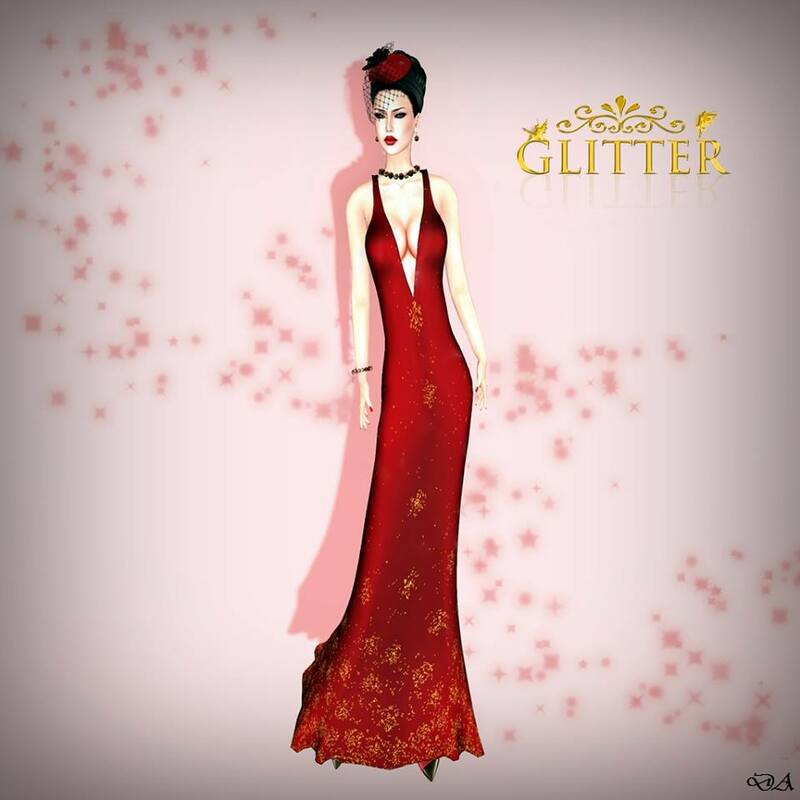 Being member you join also Glitter Poses and get always 10% OFF on single poses or full packs, and monthly gifts as well. But…..it may happens that some day the calendar gets open to grab all the previous day’s gifts, like this weekend!! Sooooo tell your friends and run to pick all the gifts starting for the first one! I wish to draw a smile on your faces bringing a bit of happiness to our lives. Thank you for being in our Glitter family!! Ah! and….as we reached the 5000 members there is an additional gift available. One of our best sellers DEA gown in lime and black, very elegant, with coordinated clutch and diamonds along the cleavage.